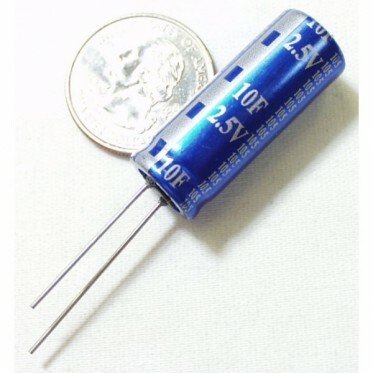 Description: Yes you read that correctly - 10Farad capacitor. This small cap can be charged up and then slowly dissapated running an entire system for hours. Combine two in series for 5F/5V. Do not over voltage or reverse polarize these capacitors.